Hanggai, from the steppes of Mongolia by way of Beijing, is a crossover band that blends traditional music and rock. Raging like Djengis Khan’s elite horde, Hanggai spreads the gospel of traditional Mongolian music across the globe and they release their new album ‘Baifang’ on Harlem Recordings in the UK on May 5th. The scope of Hanggai’s new album is almost as wide as the grasslands out of which they journey. Taking in the wild open spaces of Inner Mongolia and the teaming, churning streets of 21st century Beijing, Hanggai’s music embraces the looking-glass world of rock, pop and bluegrass as seen and heard by a new generation of Chinese. 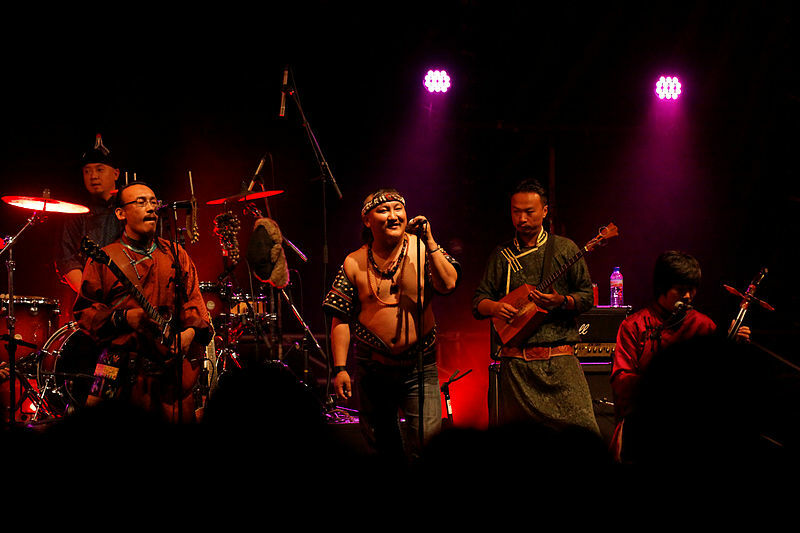 Hanggai’s songs distill everything powerful about Mongolian folk music and makes something new from the ingredients transcendently powerful music. And while they might make liberal use of traditional instruments like the morin khuur (a horse-hair fiddle) and the tobshuur, a local two-stringed lute, they take the music as their own. Led by former punk Ilchi, there’s plenty of rebellion in Hanggai. Formed in 2004 when Ilchi and former band mate Xu Jingcheng re-discovered the beauty of traditional Mongolian music, Hanggai has gained widespread and worldwide fame with their crossover music. From 2009 onward, Hanggai played some of the best international festivals in the world, including Roskilde, Lowlands, Fuji Rock, the Chicago World Music Festival, Sziget, Wacken open air (Europe’s largest metal festival), FMM festival, Sydney festival, Bonnarroo and Womad festivals in Abu Dhabi, UK, Gran Canarias, Australia and New Zealand, The tours took them to five continents and in June 2013 the band performed in Africa adding the sixth continent to their list.